There were seven categories for this year's awards, with a winner and an honourable mention for each. Click on the links below to read up on the winners. Also, check out the judges' comments on our website. Glen Peters’ blog, Martial Virtues, is compelling and elegantly written, naturally blending personal experience with research and reflection. It explores the author’s passion for martial arts in a way that would draw any curious and discerning reader, whether they have an inherent interest in the subject or not. He uses the format well, embedding useful links and images (including videos that work! ), while also demonstrating that he has the potential to treat this subject with more breadth and depth, in a long-form essay or even a full memoir. In other words, the blog leaves you wanting more, convinced that there is more for this writer to tell and to consider, and that the results would be worth reading. Anita Lahey is a journalist and poet who also writes essays and reviews. She's the author of two collections of poetry, most recently Spinning Side Kick (Véhicule Press), and the prose collection The Mystery Shopping Cart: Essays on Poetry and Culture (Palimpsest Press). She lives in Toronto, and writes the blog Henrietta and me: People and other wonders found in books. First Place: Alexander Scantlebury, "Footing the Bill: On Tackling the Offensive"
Alex Scantlebury tackles a topic that’s getting lots of attention on both sides of the border these days. But he isn’t afraid to take a surprising position. This made me think about the subject in new ways—and that’s the exactly what an opinion piece should do. 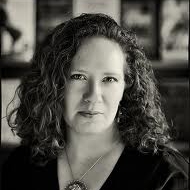 Honourable Mention: Amanda Kavanagh, "Writers Need Access to Canada's Past"
Amanda Kavanagh tackles developments that I don’t believe have received enough attention. And her argument is compelling and well written. 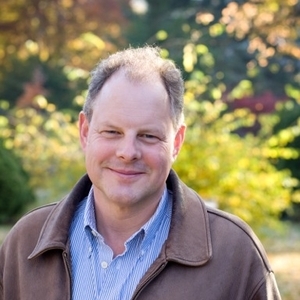 Tim Falconer is a Toronto author and journalist. He is currently writing Bad Singer, a book about why singing means so much to us. His previous books—Watchdogs and Gadflies: Activism from Marginal to Mainstream; Drive: A Road Trip through Our Complicated Affair with the Automobile; and That Good Night: Ethicists, Euthanasia and End-of-Life Care—cover a broad range of topics (and he’s also the co-author of Drop the Worry Ball: How to Parent in the Age of Entitlement). He began teaching magazine journalism at Ryerson University in 1995 and has been the instructor on six issues of the award-winning Ryerson Review of Journalism. In 2007, he was a fellow of the Banff Centre's Literary Journalism program and, in 2012, he spent three amazing months in Dawson City, Yukon, as writer-in-residence at Berton House. First Place: Alexander Newman,"Baby Your Dog: Why Not Dog Your Baby?" Alexander Newman has written a witty, deadpan satire that made me laugh, but also offers smart comment on how our society over-indulges both dogs and babies. Honourable Mention: Allyson Knappers, "Orange is the New Water"
Allyson Knappers has good fun with this—maple syrup-flavoured water?—and that makes it fun for readers, too. First Place: Reneé Guilmain, "Beyond: Two Souls Comes Up Short"
Overall, I liked the critical aspect of this review. Renée writes a good newspaper lead, gives praise where it's due but then makes clear her reservations. The author seems to sport some familiarity with her subject but is not an apologist for it either. Clearly she respects the intent of the project but has qualms about the result. Honourable Mention: Allison Godin, "Rizzoli & Isles: More than Just Friends?" I liked Allison's review for a different reason. There was no snappy lead to draw the reader in, but instead I felt I received a good historical framework for this kind of commercial writing while at the same time receiving a verdict on the worthiness of the TV show in question. The frame helped me to understand the response. Bill Reynolds, an Associate Professor at the School of Journalism, Ryerson University, Toronto, teaches feature writing and literary journalism. Before Ryerson, he was editor of the Toronto arts and news publication, Eye Weekly (now known as The Grid). Bill is current President of the International Association for Literary Journalism Studies. He and John Bak co-edited Literary Journalism Across the Globe (University of Massachusetts Press, 2011). Life Real Loud: John Lefebvre, Neteller and the Revolution in Online Gambling (ECW Press), his latest book, is to be published in Fall 2014. First Place: Kristopher Bras, "Lost Friends"
I couldn’t resist Kristopher Bras's “Lost Friends.” On the surface it'san epic yarn of hockey fandom and bro-bonding, but of course it's really about much more. The details bring it home - the scarcity of groceries, the mom who is wise to the imperatives of youth, the car plastered with stolen Sens pennants. And then, slipped in at the end, almost casually, what the story is really about: how we sometimes lose things of value without even noticing. Honourable Mention: Reneé Guilmain, "Like Father"
Renee Guilmain's “Like Father” deftly handles potentially devastating material. The portrayal of the dysfunctional relationship between a former addict father and a bi-polar daughter is often blunt but not without humour. Her father's small acts of kindness - the cinnamon brioche he brings her in the morning - and her revelation at the end of the essay that they are kindred souls - makes this an ultimately uplifting memoir. 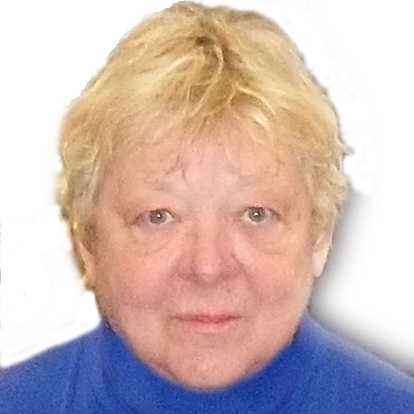 Sheree-Lee Olson is a writer and the former Style editor of The Globe and Mail. Sailor Girl, her 2008 novel of the Great Lakes, is currently in development by Toronto-based Markham Street Films. First Place: Amanda Kavanagh, "Hatch"
Maybe I have a thing for apocalypse fiction but for winner I chose “Hatch” by Amanda Kavanagh. The description and setting were well done, situating me very clearly in the story even though it was a futuristic story. What I liked most about the story was the subtle seeding of doubt that made me wonder if there were other humans outside, if the characters had made the right choice. This gave the story a tension that some of the other stories lacked. Honourable Mention: Jacob Rennick, "Rainworld"
This story has a compelling voice straight off the start that hooked me into the story and was consistent throughout. The descriptive passages are also very well done. Both writers know how to write setting and to establish a clear and compelling voice for a narrator to carry the reader through the story. Amanda’s had that extra bit of tension, which was missing for many of the stories. Rhonda Douglas is originally from Newfoundland but has lived in Ottawa with her daughter Emma since time out-of-Memorial. She is the author of Some Days I Think I Know Things: The Cassandra Poems (Signature Editions, 2008) and a recently released chapbook from Apt9 Press, How to Love a Lonely Man. 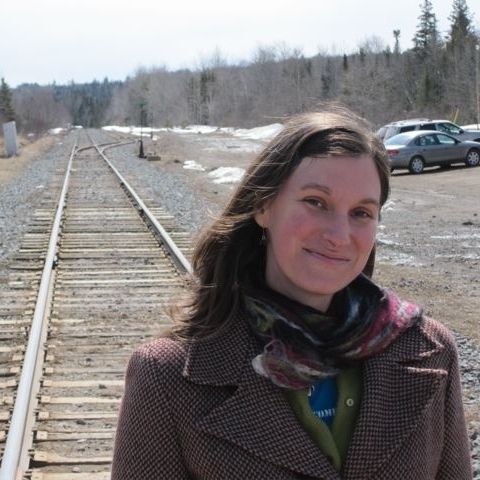 Her poetry has won awards in the Newfoundland and Labrador Arts and Letters Competition, the Far Horizons award from The Malahat Review and the Diana Brebner Prize from Arc Poetry Magazine, where she was subsequently on the editorial board. Her short fiction has been published in literary journals across Canada and won first prizes from both Room Magazine and Prairie Fire. Her short fiction collection, Welcome to the Circus, is coming out with Freehand Books in Spring 2015. Rhonda completed her MFA in Creative Writing from UBC in 2012. First Place: Glen Peters, "Beechwood Cemetery"
A tale of a new start in mid-life told in subtle metaphor and understated, carefully chosen language. The writer handles transitions skillfully and there are some lovely lines here: "I thought of my friend.... She was always good with perspective; she would helped with the weight I carried." Plus, a killer ending. Honourable Mention: Stuart Harris, "The Progress of Family"
A successful portrait of the interconnections between two very different men - Tony, the writer's grandfather, and Zeleke, "Zach," the caregiver from Ethiopia - and ultimately between Zach and himself. The writer succeeds in sketching Zach's history without spilling into extraneous detail, and tells the story of the generous gesture that's at the heart of the piece without descending into excessive sentiment. A satisfying tale. Lynn Cunningham is an associate professor in the Ryerson School of Journalism. Before joining the school she worked at such magazines as Toronto Life, Canadian Business and Quest. Her essay "Cause and Effect," (The Walrus, 2009), won a Gold National Magazine Award for personal journalism.